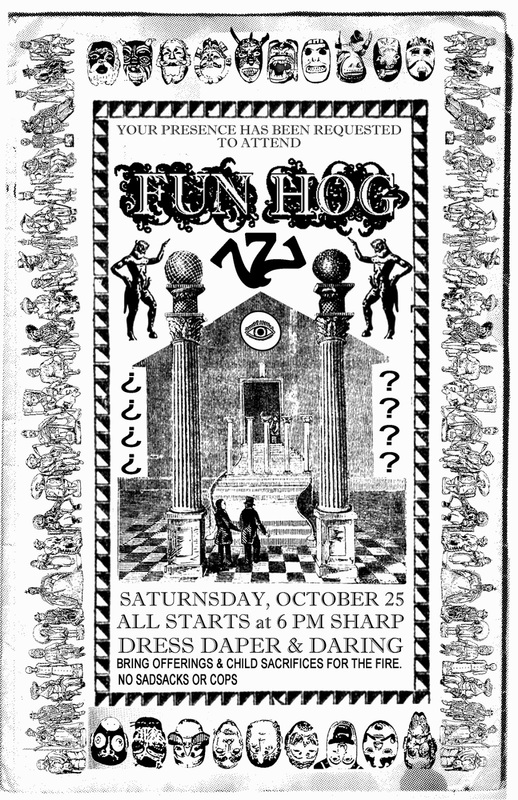 Fun Hog is the autumnal celebration held at the H.ouse O.f G.ood S.pirits (HOGS), now the facility for Psychic Sounds Research & Recordings, located in Portland, OR. It not only marks the anniversary of the compound being procured, it also welcomes in the changing of weather as spirits through the thin veil for a festival marking the end of the harvest season and the beginning of winter or the "darker half" of the year. Most commonly it is held on the third week of October, or halfway between the autumn equinox and the winter solstice. 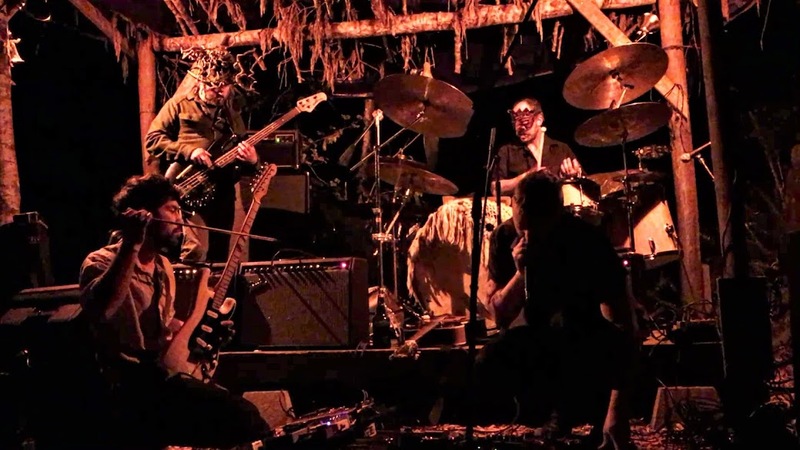 Opening and closing rituals, elaborate invitations, homade concoctions, healing devices and rampant creations are always present within the evening into the early morning. ☛ BLACK OR WHITE ORPHEUS album tape cassette available in the M.J. SHRINE!